Thus began Liu Yichang’s 1963 novel The Drunkard, signalling a fresh voice that would redefine Hong Kong literature and inspire countless storytellers – including world-renowned filmmaker Wong Kar-wai. Liu Yichang. File Photo: Citizen News. Liu, who died last Friday aged 99, was best known for his modernist writing style and a focus on everyday realism. The Drunkard is widely considered to be the first Sinophone stream-of-consciousness novel, and revolves around a writer struggling to survive in an indifferent, capitalist city. His other works include Intersection (1962), Island and Peninsula (1975) and Heaven and Hell (1951), which often depict the lives of working-class Hongkongers. Read in full: Liu’s short story “Intersection” (translated by Nancy Li) via Renditions, a literary journal published by the Chinese University of Hong Kong. Ben Wong King-fai, who directed a 2015 docudrama on Liu’s life, told HKFP that Liu is symbolic of an entire generation of Hong Kong literature. 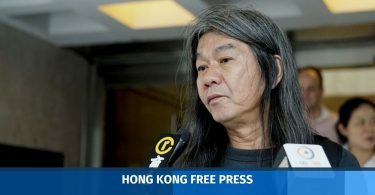 “[Liu’s] writing has connected with people from different ages and backgrounds, and he has become part of Hong Kong culture – you can’t separate one from the other,” Wong said. Liu was born in Shanghai in 1918 to a family of intellectuals, and graduated from St. John’s University in Shanghai. 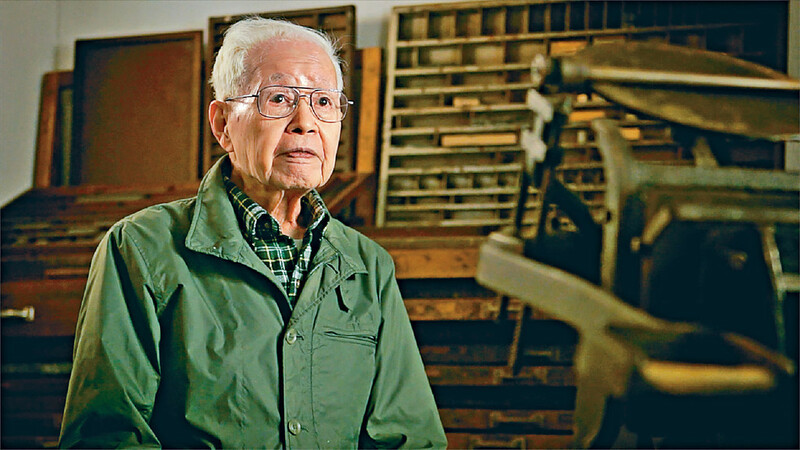 He first came to Hong Kong in 1948 and settled in the city a decade later. Working as an editor and newspaper columnist, he could write both commercially popular works and experimental fiction; his breakthrough work The Drunkard was the latter. 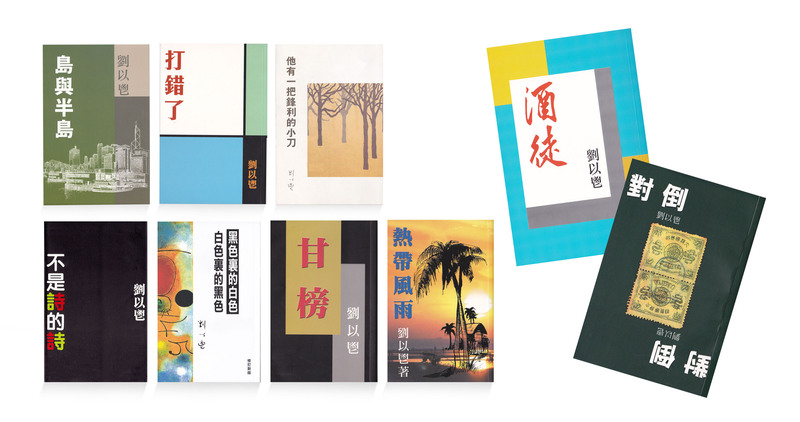 Liu Yichang’s books. Photo: cefc-culture. Wong said The Drunkard created “a new way of writing Chinese,” because it was the first novel that successfully adapted the stream-of-consciousness technique – popularised in western literature by the likes of Woolf and Joyce – for the Chinese language. Though not an overtly political writer, Liu’s work nevertheless reflects Hong Kong’s transition from the turbulent 1960s to newfound prosperity in the 1970s. Island and Peninsula – partly inspired by the U.S.A. Trilogy by John Dos Passos – was written in direct response to the headlines of the day. 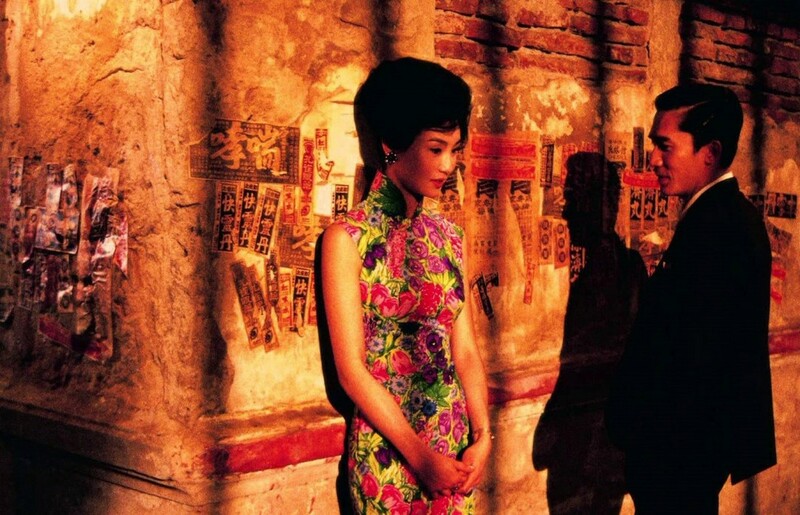 A still from Wong Kar-wai’s In the Mood for Love. File Photo: Citizen News. Wong said Liu was initially resistant to Hong Kong, which he saw as crude and unsophisticated. 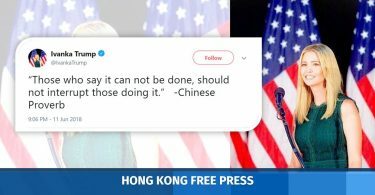 Liu had to learn to be comfortable at the periphery of greater China – or as Wong puts it, “moving from the plains to the islands.” In the end, Hong Kong won him over. Liu’s innovative storytelling had a ripple effect beyond the written word. Liu’s Intersection famously inspired Wong Kar-wai’s In the Mood for Love (2000), and in the film’s credits Wong gave Liu special thanks. On Saturday morning, Wong posted a quote – “All memories are sodden” – from The Drunkard on Weibo to mark Liu’s passing. 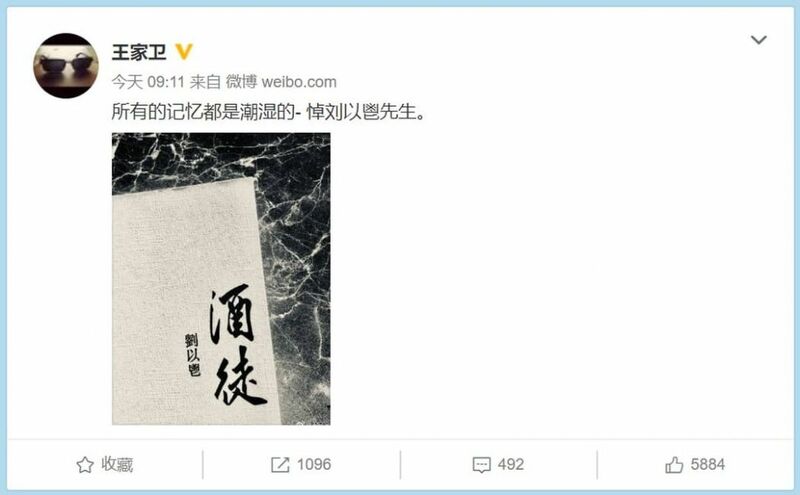 Wong Kar Wai posted a photo Liu’s The Drunkard with a quote from the novel. Photo: Wong Kar Wai, via Weibo. Aside from literary creation, Liu also served as editor to numerous publications since the 1950s, and was responsible for discovering talents like Xi Xi, Ye Si and Dung Kai-cheung. Wong himself first got to know Liu when, still a student, he sent his writing to the magazine Liu was editing. Liu surprised him by publishing the work and replying with an encouraging note. “I remember going to his office at the literary magazine, and despite having to deal with a large number of submissions the office was very neat,” Wong said.